Librarians and library staff will find new ways to reframe their perspective and explore their alternatives. Who: Rachel Singer Gordon is webmaster of LISjobs.com, the largest library career site and job database, and is a consulting editor at Information Today Inc., Books Division. She is the former Head of Computer Services at the Franklin Park Public Library, IL, and is currently a freelance writer, editor, and presenter who speaks widely on topics from alternative careers to writing for publication to generational issues. Rachel has authored eight books for librarians and information professionals, most recently, What’s the Alternative? Career Options for Librarians and Info Pros (ITI, 2008), Information Tomorrow: Reflections on the Future of Public and Academic Libraries (ITI, 2007), and The NextGen Librarian’s Survival Guide (ITI, 2006). 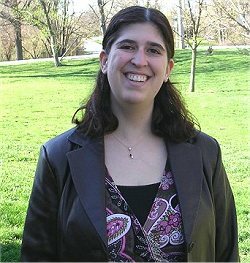 Among her other professional activities, Rachel is the “On the Brink” columnist for Emerald’s Library Link; she was also the “Computer Media” columnist at Library Journal from 2002-2008 and coauthored “Tech Tips for Every Librarian” in Computers in Libraries magazine from 2006-2008. Registration: Please complete the registration form at http://tiny.cc/slm5o. Any questions? Please contact Christina Tropea at ctropea@dppl.org.